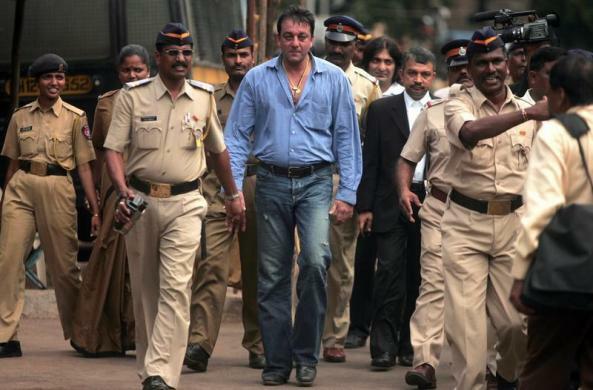 Sanjay Dutt must return to prison for another three years it has emerged today. The actor was charged for his role in the bomb blasts that rocked Mumbai in 1993. Dutt was granted bail in 2007 when he appealed against his original sentence of six years. On Thursday, the Supreme Court reduced it to five years. The bombings killed 257 people and wounded 713 others. "He will have to serve another three-and-a-half year sentence. We had prepared him for the same," said Satish Maneshinde, the actor's lawyer to Reuters. "We will wait for a copy of the judgement and then decide the further course of action. He is a strong man and will fight back," he added. "It's late in the night. Have an early morning shoot for policegiri. Good night and big Jaadu ki jhappi to all my lovely fans," the actor had tweeted on Tuesday. It is not known what will happen to the films Dutt was shooting for, namely the remake of Zanjeer and Dharma Productions’ Ungli which are both due for release later this year.